Jockey Craig Williams will ensure everything is on order before Hartnell defends the P B Lawrence. A year ago, Craig Williams almost cost Hartnell victory in the P B Lawrence Stakes but not because of anything he did wrong in the race. There will be no repeat of the bizarre circumstances on Saturday when Hartnell defends the 1400m-Group Two race at Caulfield. Stewards hit Williams with a $2000 fine after he weighed in half a kilo heavier than Hartnell’s allotted weight. The champion jockey arrived at the barriers wearing a lighter vest than the one he weighed out in and, after realising his mistake, Williams grabbed some equipment from the farrier’s bag and put it in his boots to ensure he would not risk being disqualified for being underweight. “That just shows if you drop your guard and don’t stick to your normal routine then something like that can happen,” Williams said. “It happened once and I’m making sure it won’t happen again. “Luckily for me he ran, he won, but I was penalised financially for my error. 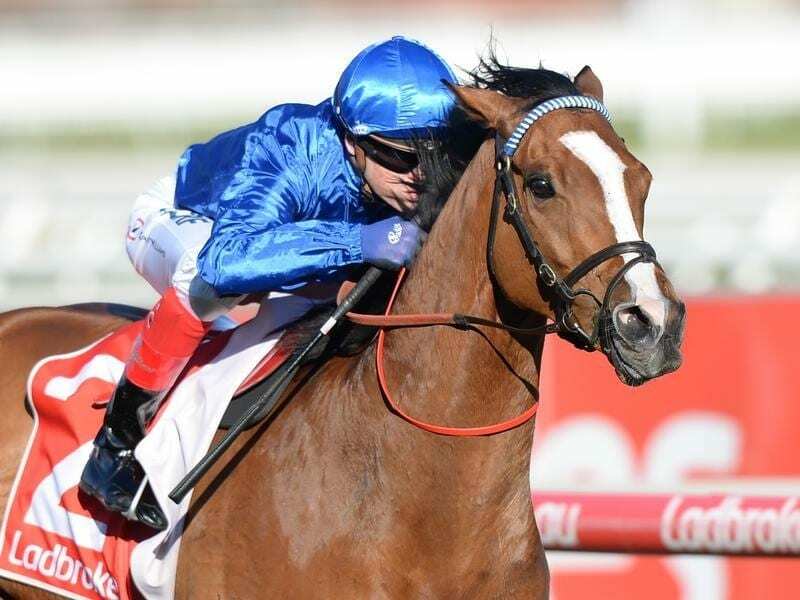 Williams has contacted Godolphin’s Australian trainer James Cummings and says the team is happy with Hartnell’s progress. Barrier 13 in the 16-horse field is the only concern. “It depends on how he steps,” Williams said. “I’ve had him step really well when he won this race a year ago and when he won the Group One he didn’t step as fast as expected. “I’ll be speaking to James and we’ll have a discussion about the tactics and what they want me to do on him. “But they’re very happy with him. “He’s undefeated over the trip at Caulfield and when you look through his form there’s no Winx which is a bit of a help as well. Hartnell is the $6 second favourite behind the Mick Price-trained Grunt at $5. Showtime ($7) and Black Heart Bart ($8) are next in the betting order.